When will be The Raccoons next episode air date? Is The Raccoons renewed or cancelled? Where to countdown The Raccoons air dates? Is The Raccoons worth watching? The Raccoons was one of the most popular and beloved cartoon shows of the '80s made outside USA. It tells the story about three raccoon friends - Bert, Ralph and Melissa, their friends - Schaeffer the dog, and Cedric and Sofia the aardvarks, as they try to protect their home - the Evergreen Forest from Cyril Sneer - the evil anti-environmentalist who wants to destroy the woods for profit. 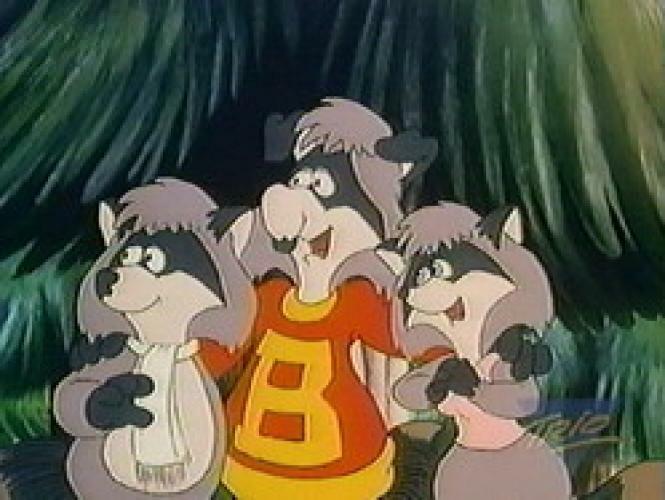 The Raccoons first appeared in 1980. in TV special "The Christmas Raccoons", after which three more TV specials were aired, until they got their own series in 1985. and it lasted until 1992. Although, there are still reruns on Disney Channel, BBC and Boomerang. EpisoDate.com is your TV show guide to Countdown The Raccoons Episode Air Dates and to stay in touch with The Raccoons next episode Air Date and your others favorite TV Shows. Add the shows you like to a "Watchlist" and let the site take it from there.